With the first quarter of 2014 behind us, we are eagerly awaiting the 13F filings of hedge fund managers, which will provide insight into which stocks they have been buying and selling during the first three months of the year. One fund that we closely track is Omega Advisors, managed by Leon Cooperman, which manages approximately $7.0 billion in equities. Here we will focus on his largest positions in stocks paying high dividends, or those with yields above 5%. First on the list is Atlas Pipeline Partners LP (NYSE:APL), a $2.7 billion market cap oil and gas pipeline company of which Cooperman owned 3.3 million shares as of December 31, 2013. Subsequently, in February, he disclosed increasing his stake to 7.8 million shares, or a 9.7% stake. As a master limited partnership (MLP), Atlas pays a regular quarterly dividend of $0.62 per share that equates to a hefty yield of 7.9% on an annualized basis. Omega’s second largest high yield stock position is Chimera Investment Corporation (NYSE:CIM), in which it held 62.1 million shares as of year-end 2013. Again, in February, the fund disclosed a slight increase in its position to 63.3 million shares, or a 6.2% stake, maintaining his position as the largest shareholder. Chimera is a $3.2 billion market cap mortgage real estate investment trust (REIT) that pays a regular quarterly dividend of $0.09, for a yield of 11.9%. The company also paid a $0.20 special dividend in early January. Third on the list is Gaming and Leisure Properties, Inc. (NASDAQ:GLPI), with Cooperman’s 2.2 million shares accounting for a 2.0% stake in the company. As its name implies, the $3.3 billion REIT, which went public in mid-October 2013, focuses on managing gaming and leisure properties and related facilities. Its regular quarterly dividend of $0.52 per share equates to an annual yield of 5.7%. In addition, it paid a special dividend of $11.85 per share at the beginning of the year. 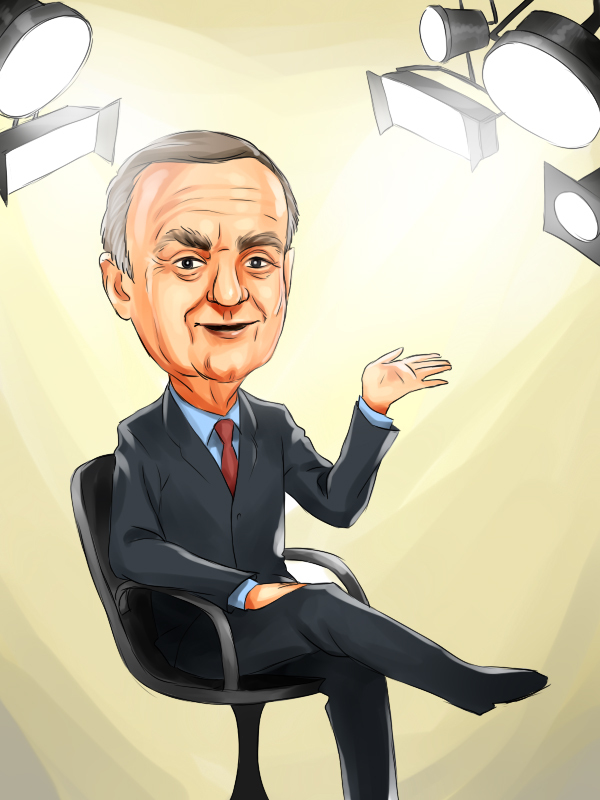 Cooperman’s fourth largest high yielding stock is KKR Financial Holdings LLC (NYSE:KFN), a $2.4 billion specialty finance company in which he owns 15.1 million shares, or a 7.4% stake. KKR Financial is a holding company managed by private equity firm KKR & Co. LP (NYSE:KKR) that invests in primarily in debt securities. Its quarterly dividend of $0.22 per share equals an annualized yield of 7.7%. In December 2013, KKR announced it would acquire KFN, with closing expected sometime during the first half of 2014. Fifth on the list of high dividend stocks is Transocean Ltd. (NYSE:RIG), in which Cooperman owns 2.9 million shares, or a 0.8% stake. Transocean is a $14.9 billion market cap company that provides offshore contract drilling services for oil and gas wells globally. Its quarterly dividend of $0.56 per share is equal to a 2.2% yield. In November 2013, following pressure from activist investor Carl Icahn’s Icahn Capital LP, the company announced plans to spin-off some of its drilling rigs into a master limited partnership and conduct an IPO.